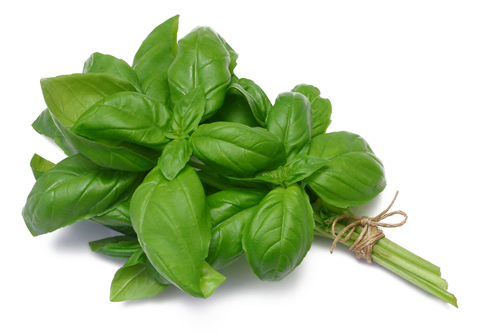 Basil, Thai basil, or sweet basil, is a common name for the culinary herb. 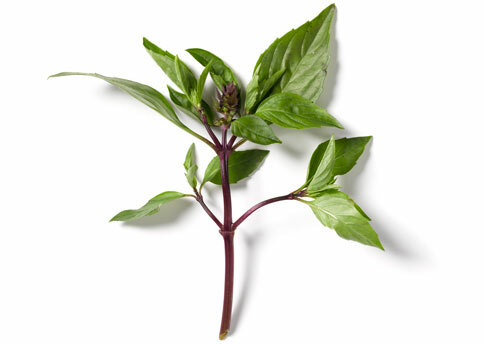 Basil is native to India, China, Southeast Asia, and New Guinea. Depending on the species and cultivar, the leaves may taste somewhat like anise, with a strong, pungent, often sweet smell. The In purple stem variety (Also known as Thai Bail) is more commonly grown in Southeast Asia. While the green stem variety is more common among the European culture. Basil is commonly used fresh in cooked recipes. In general, it is added at the last moment, as cooking quickly destroys the flavor. Basil is one of the main ingredients in pesto—a green Italian oil-and-herb sauce. Its other main ingredients are olive oil, garlic, and pine nuts. Basil is grown all over Australia. 45g (1/4 cup) pine nuts. 1 & 1/2 cups fresh basil leaves. 2 small garlic cloves, halved. Preheat oven to 180°C. Spread the pine nuts over a baking tray. Bake in oven for 5 minutes or until toasted. Remove from oven and set aside for 10 minutes to cool. Place the pine nuts, basil, garlic and parmesan in the bowl of a food processor and process until finely chopped. With the motor running, gradually add the oil in a thin steady stream until well combined.